Benjamin Vial – keep it death proof ! keep it death proof ! Digital imprints come and go like the weather these days, lots of people just testing the waters to see if, or how, it works, but with what we had planned, we went in with both feet; wanting to see just how far we can go. Safe to say after six memorable years, a few lairy parties, some grey hairs and, most importantly, 49 releases we get to finally announce our 50th! 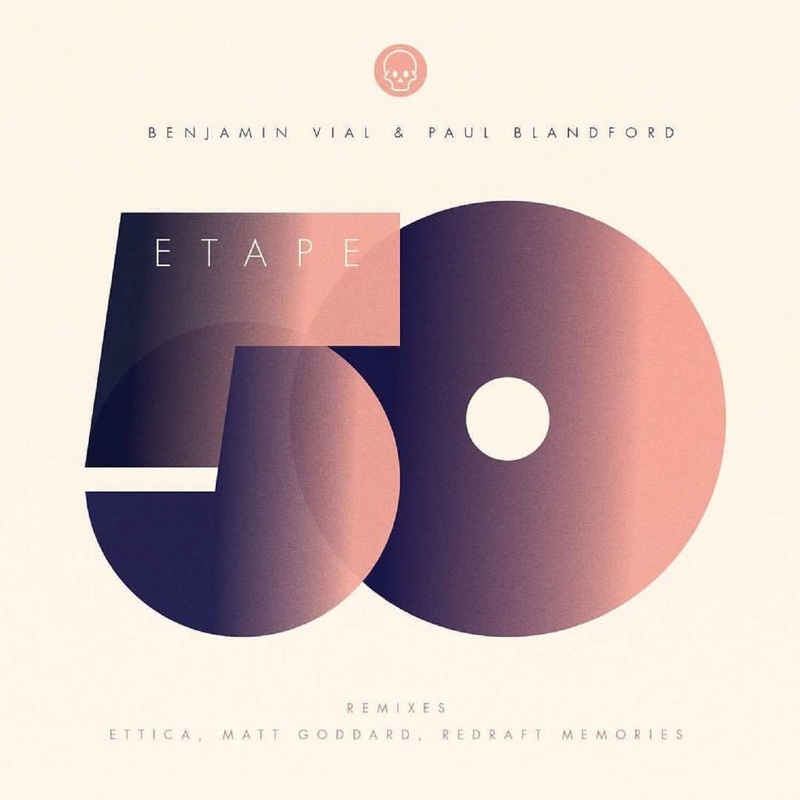 So without further ado, courtesy of 2 of the label forebearers Benjamin Vial & Paul Blandford, wrap your ears around ‘Etape 50’! ‘Etape 50′ has encompassed everything the lads love about dance music, taking their 40+ years of studying and engrossing themselves in underground sounds they’ve melded their teachings into this huge track: raw organic drumlines, gritty growling basslines and atmospherics galore! The disjointed drums and hats take on a subtle breakbeat-come-house groove, allowing the concentration on the gnarly bass, wide synths and dictating vocal. A bomb with aplomb! And where would the release be without some typically stunning remixes?! All 3 of the artists who’ve jumped onboard have done us proud over the years as original artists, with magazine features, chart toppers and countless plays from their peers in clubs, arenas and warehouses around the world! Ettica is now a household name when it comes to jackin’ house and he’s poured all that nuance and knowledge into his outstanding remix. Matt Goddard also needs no introduction, having also worked with us under his world renowned guise Dopamine, he’s brought in a thumping slab of techno quintessential of his sound. And to bring up the rear is one of our more recent assets, Redraft Memories; this young Mexican upstart has escalated to global proportions, his remix is basement ready, grinding and rolling, techno of the highest order. Thank you to everyone who has supported us over the years, we’re truly blessed to know that people have appreciated our work and helped us sustain this dream. Big love, Benj, Paul & Matt. Here’s my new website. I hope you dig it. I have a new collaboration single coming on September 11th with my partner in crime Paul Blandford, called Etape 50, as it’s Death Proof Recordings‘ 50th EP release. It comes with stellar remixes by Ettica, Redraft Memories and Matt Goddard.